Once I heard that Anastasia were coming out with their first foundation I could not wait to get my hands on it. When I heard that it was ideal for oily/combo skin and that there were 30 shades I was practically giddy with excitement. There are 26 foundation shades in the range, 3 contour shades and 1 highlighting shade. The foundation shades run from very fair to deep, with a larger range of undertones than I’ve seen in a range of foundations before. 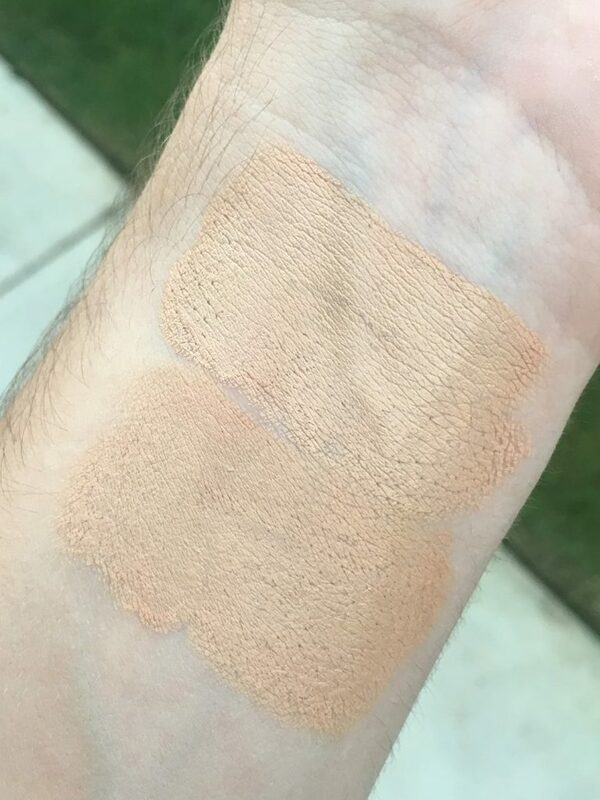 I always get nervous buying foundations online because there’s so much room for error, so I ended up getting two shades in the “Light” range: Beige and Warm Natural. The packaging of these foundations is stunning. They come in a simple black box, and the sticks are housed in a glossy black tube with gold detailing. 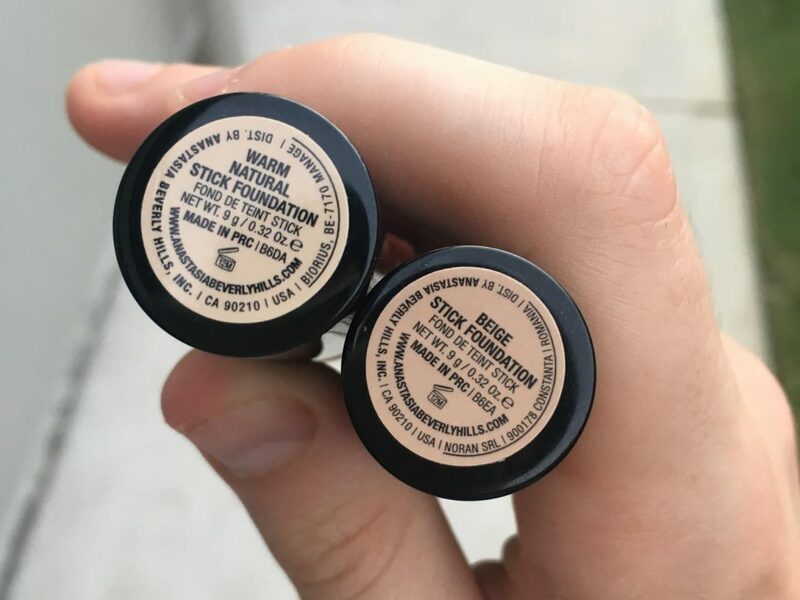 They have the well-known ABH logo on the top of the cap and the brand name written up the side, and once you remove the lid the gold detailing continues to the top of the tube. The colours and undertones are very true to the website which makes shopping online much easier than it normally is with foundations. 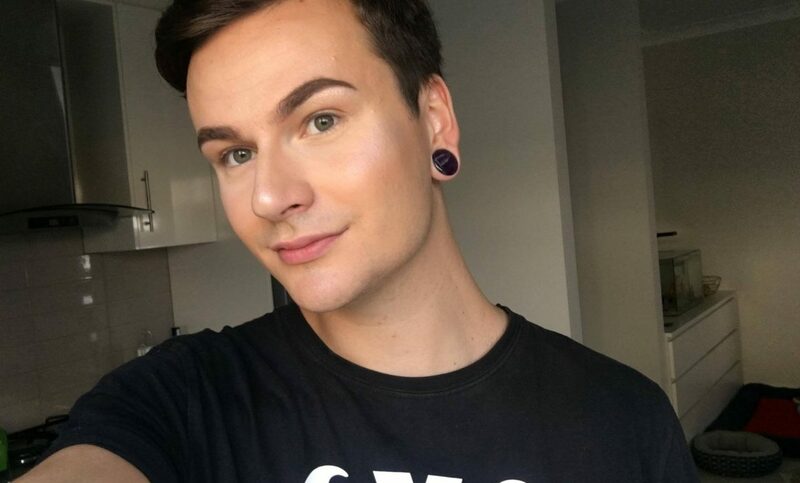 The warm undertones of this foundation are very golden, so when I tried my two for the first time I thought Warm Natural may be a little too warm for me – luckily I got Beige which has a peachy undertone, and that I was going on holiday shortly after I received them and would be getting a tan. My guesses from the ABH website were spot on: Beige matched my natural skin and Warm Natural was perfect for when I got back from holiday and needed my face to match a more golden toned body. At first I was absolutely floored by the formula of this foundation. It glides onto the skin when you’re swiping it on and blends like a dream with a flat top kabuki brush. I would say at best it has medium coverage, and looks very natural. 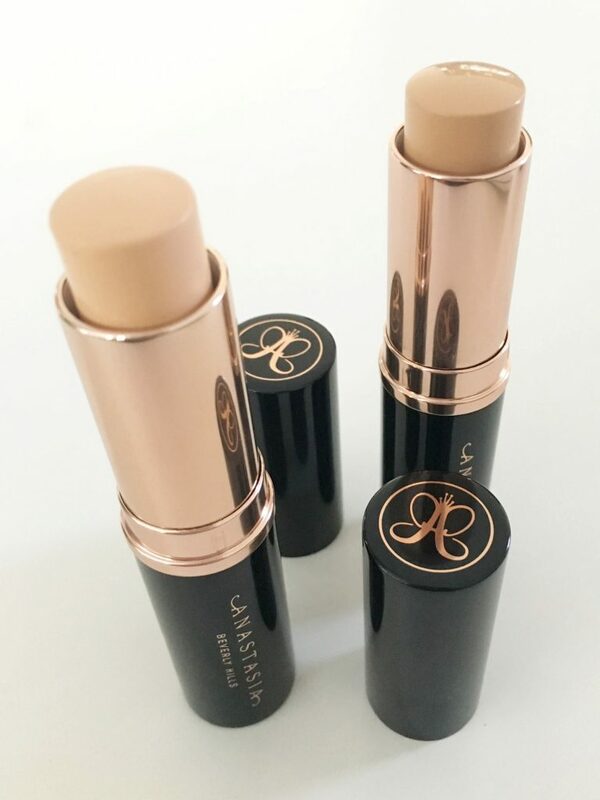 It looks absolutely stunning when first applied, and other products blend and apply well on top (with the exception of one of my concealers – but that was remedied by swapping from a damp beauty blender to a dense brush). When I first wore the foundation I got oily quite quickly, which I attributed to my primer or my powder or anything else I was wearing – this foundation was designed for oily and combination skin types after all, I figured I must be doing something fundamentally wrong. That wasn’t the case though. I tried this foundation with four different primers and three different setting powders, from high end to drug store and all with various formulas, but nothing stopped my nose becoming a broken up oil slick. This foundation also accentuated the texture on my nose quite a lot and I wasn’t able to build the product up to remedy this. 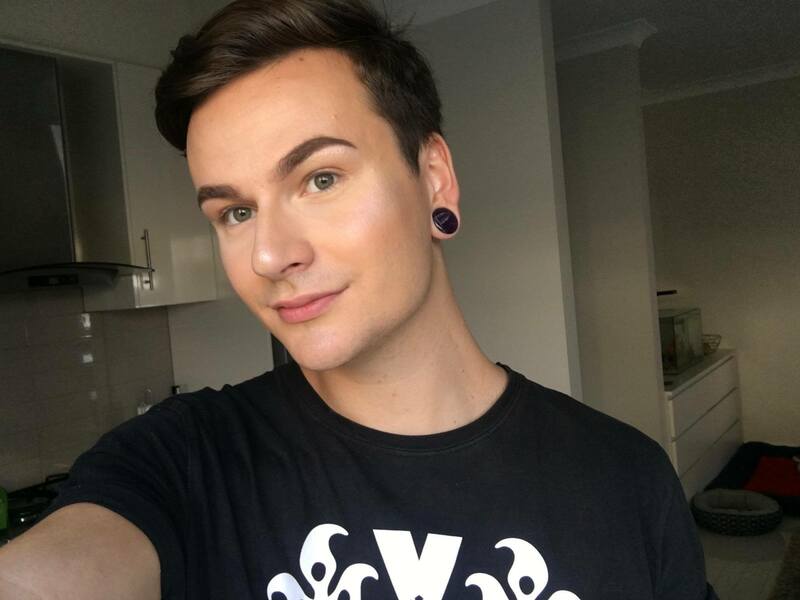 It builds beautifully on smooth areas but unfortunately if there’s texture it doesn’t even seem like the same foundation. In terms of covering up pigmentation on my skin it did wonders, but with texture not so much. Overall I think this is a beautiful foundation if you want a natural look but already have quite smooth skin, and I definitely think it’s best suited to “normal” skin types rather than oily/combination as it’s advertised. 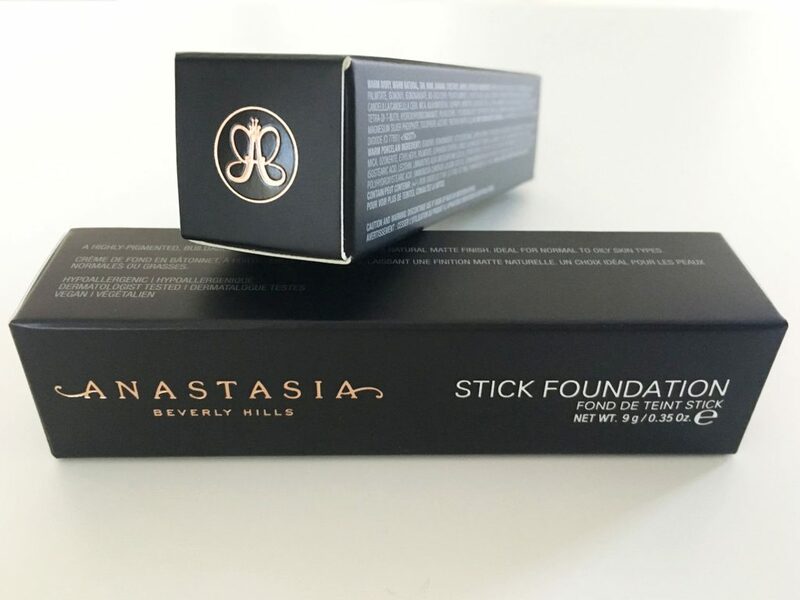 The Anastasia Beverly Hills foundation sticks are available from their website for $25 USD, for 9 grams of product. Shipping to Australia is $17.95 USD which is a large amount, but shipping is very fast. I placed an order for some Glow Kits (should I do a review on them?) and received them within 4 business days. Obviously this would vary depending on order volume, customs etc. but it’s still amazing service.